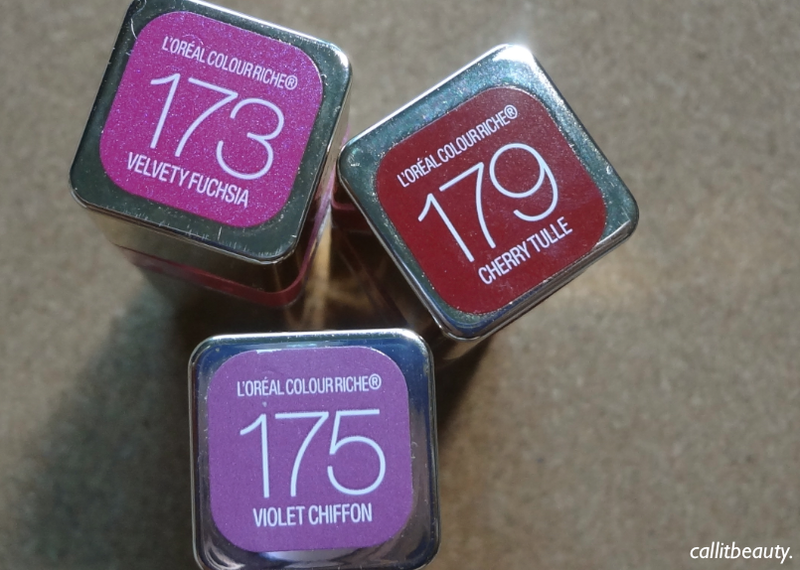 When I first heard of the L'oréal Colour Riche Colour Caresse Lipsticks, I immediately wanted to purchase them... But they hadn't been released in Canada yet, so I ended up playing the waiting game. But during the waiting game, real life took over, and I soon forgot about them. There was also the fact that I hadn't stepped foot into a drugstore in what felt like ages, so I wasn't even aware they were available in Canada til literally the week before I purchased it -- which was like, a month or two ago (possibly three, omg >_<). This post has been sitting in Blogger as a draft since then. Ah, well... Better late then never, right? 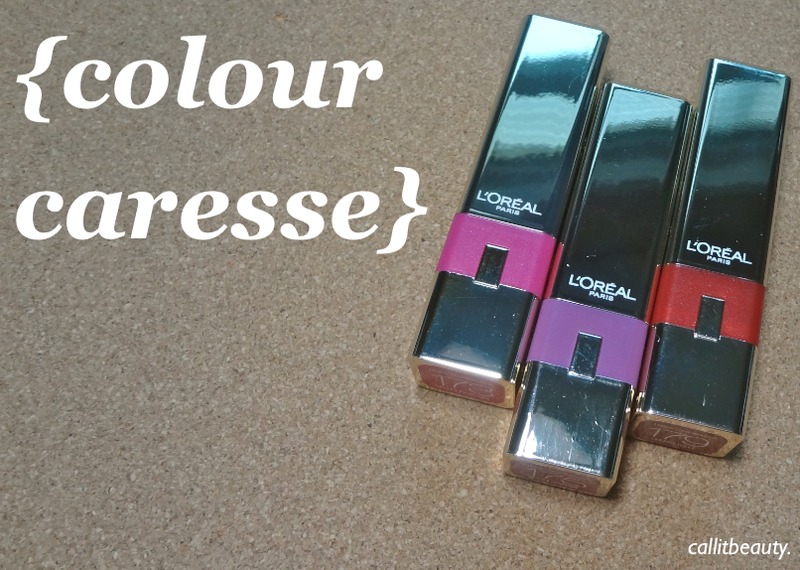 L'oréal has formulated the Colour Caresse lipsticks to have 50% less wax than your regular lipstick. They've also developed a Lightfeel System that is supposed to feel incredibly lightweight and is "never sticky or heavy." Pretty big claims, don't you think? But I must say, these claims are actually pretty accurate! 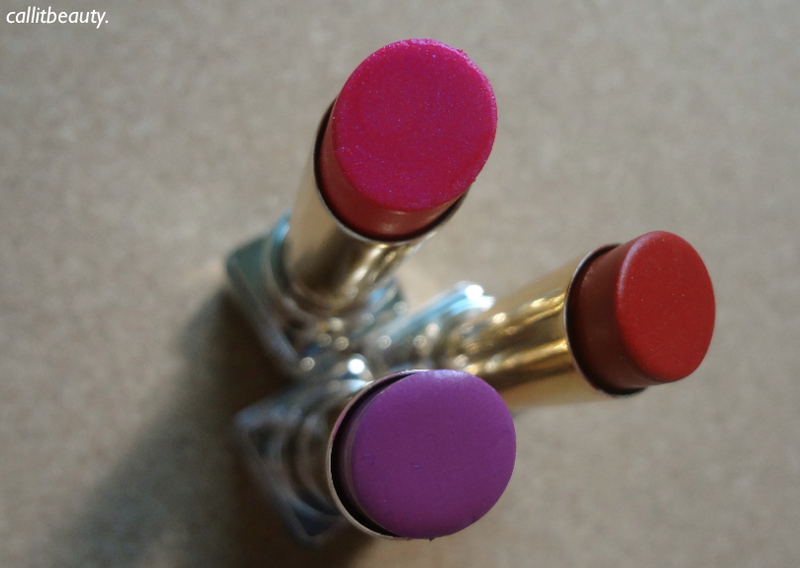 The Colour Caresse lipsticks are what I expected the Revlon Colorburst Lip Butters to be like -- the pigmentation of a lipstick with the feel of a lip balm. It feels so comfortable on the lips, I can actually forget I'm wearing it. 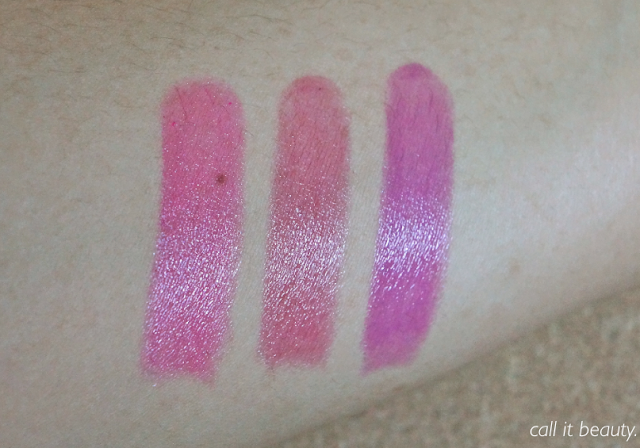 In fact, in terms of consistency and feel, I would compare the Colour Caresse lipsticks to one of my favourite ever lip products - MAC's Tinted Lip Conditioners. However, it definitely doesn't hydrate like a lip conditioner/balm. It's definitely not the most hydrating lipstick out there, but I do love how it fades to a stain; it leaves a nice touch of colour, even if I don't reapply. I chose Violet Chiffon, Velvety Fuchsia, and Cherry Tulle -- all very pretty shades! My most worn are definitely Velvety Fuchsia and Cherry Tulle. But I must say, my favourite has to be Violet Chiffon. 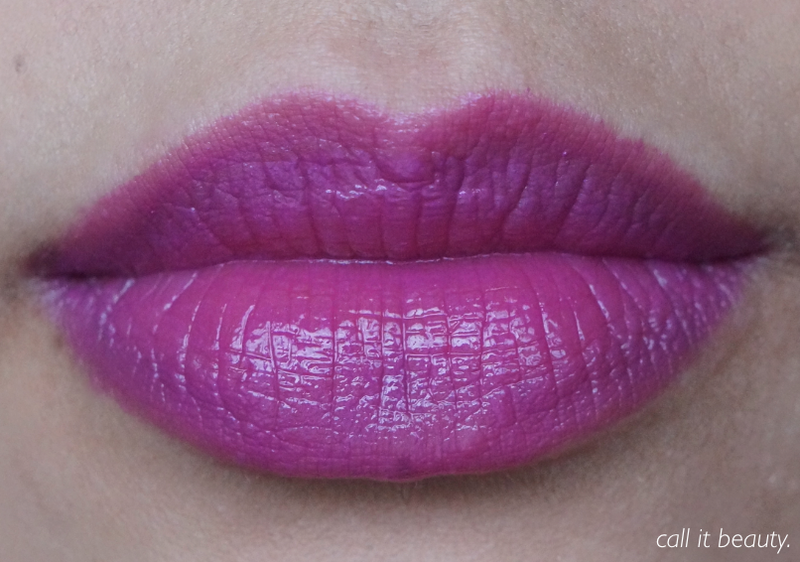 As much as I love purple, it's not really represented well in my lipstick collection and after seeing it on the stunning Rema of The Burgundy Book, I knew I had to get it for myself. 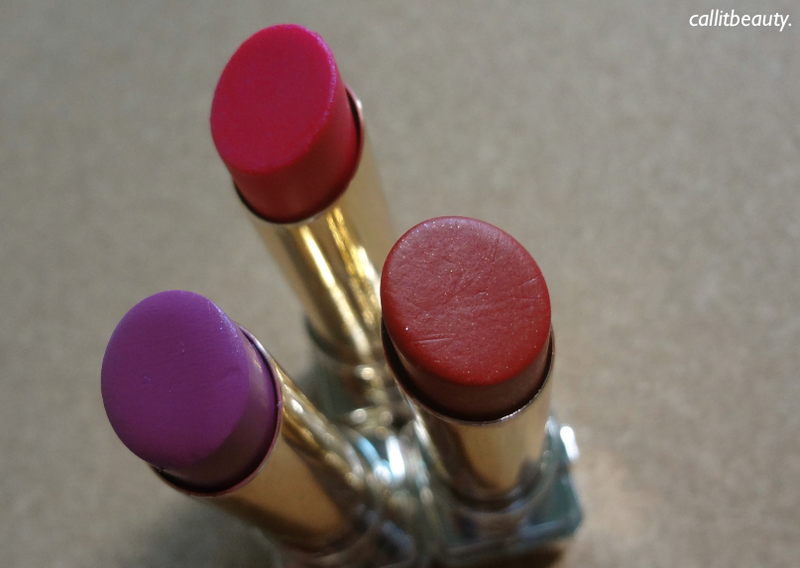 These lipsticks apply smoothly and for the most part, evenly. My lips are fairly pigmented and a little bit of the natural pinkness comes through when I apply 1-2 layers of this lipstick. When applying more, I found that Cherry Tulle tended to not distribute pigment as evenly, while Velvety Fuchsia and Violet Chiffon stayed even. 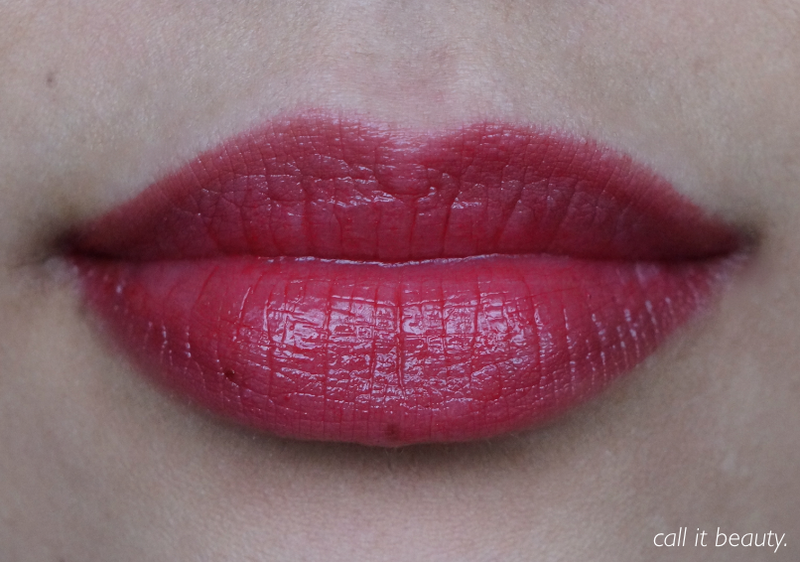 Because these lipsticks are so lightweight, they're pretty damn easy to wear. I like to reach for one of these if I'm in a hurry to get ready and want to add colour to my look. 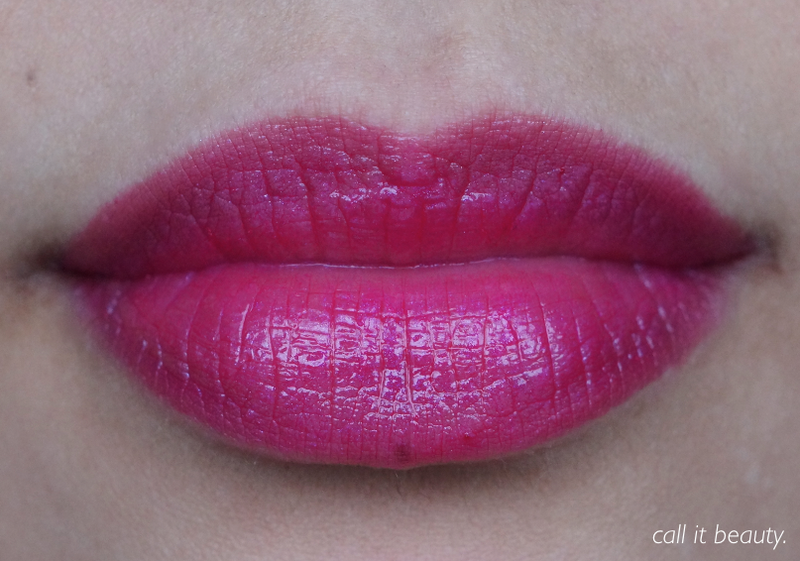 So if you're scared of lipsticks, you may want to start out with a "lipstick hybrid" like those in the Colour Caresse line. With 12 lovely shades to choose from (3 of which are in the neutral territory) and a $5.99 CAD price tag, you can't really go wrong. What are your favourite lightweight lipsticks? Girl, Take That Eye Makeup Off!